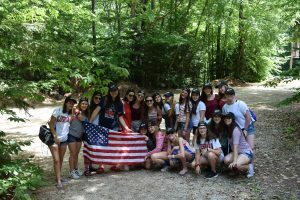 Kerem Highlights From Last Week – 4th of July, Achla Yom and More! Correction: in the previous blog I suggested that Kerem was having the best summer of their lives. Contractually, I am obligated to offer this correction. The past few days have been better than those days, so now I can confidently say Kerem is having the best summer of their lives. In lieu of having to add this correction at the beginning of every blog post, just remind yourself before reading: “these few days were better for my child than the ones I’ve read about.” I even tried to make it so you could cleanly print it and cut it out to put above your computer. Let me know what you decide to do. Since last writing you, our skilled apprentices are learning the ropes of how to have the best summer of their lives (see above). Monday: what a day. I remember it well. Our chanichim (campers) started the day with a usual schedule of mifkad (camp-wide flag raising and prayer saying), tefillot (prayer), aruchat boker (breakfast), and nikayon (cleaning the bunk). 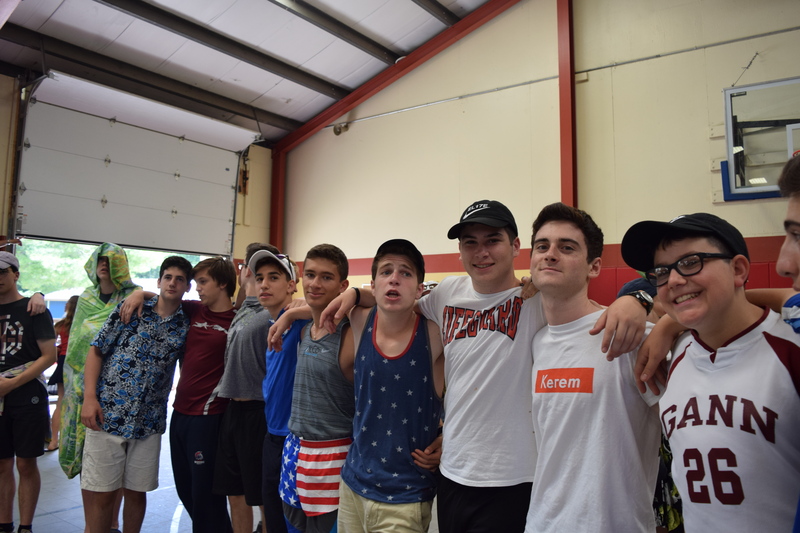 The chanichim braced their morning by going to kitah (class) and preparing for the machazeh (play, this year it is Damn Yankees). Our afternoon was spent on the agam (lake), playing sports, and having more play practice and meetings. For dinner? Fajitas! Hot dog! Or should I say, hot fajita. Our peulat erev (evening activity) was a classic Birthday Bowl. The chanichim of older camp divided into groups by birthday and had to prepare a presentation on why their month was the best. What they didn’t know was that the winner would receive $10 million dollars to invest in a social action project of their choice for their birth month. Ok I lied about the money and social action thing but that is really what the event was. The chanichim ended the night around a medura (bonfire), singing and smiling. Tuesday was July 4th! Hold on to your bald eagles parents because a lot happened that day and I’m typing very fast to tell you!!!!! We awoke to chug tefillah (literally prayer elective, a day when multiple options are offered for alternative forms of tefillah). Some yoga’ed, some art’ed, some sang, and some did other stuff. I (Jeremy) led a discussion. At 8:15 Kerem arrived at the misrad (office) to be greeted with donuts and vans to take us to Demmons, the local gas station where the Declaration of Independence is read every year in Northwood. We’re literally more than half the crowd. I saw a guy in a kilt. He was singing this song about liberty and a bunch of people there knew the words but we didn’t and that was alright too. It was probably the most patriotic thing some of us had ever done before. We returned for a normal (read: TREMENDOUSLY GRAND) morning of activities. In the afternoon we had a camp-wide parade and some mor e time on the agam before aruchat erev (dinner). It was fried chicken!!!! This writer (Jeremy) is not allowed to have fried chicken, but between you and me, I had a little bit. Don’t tell my mom please. For peulat erev, we had a camp-wide talent show (that song from Moana was performed like 5 times) and then? Zikukim!!!!!!!!! Then we watched Trolls. Like the movie about the dolls. It was surprisingly funny to be honest. Also zikukim are fireworks, sorry I didn’t translate it. Wednesday morning we packed our bags and headed to Caratunk (this is a place in Maine) to Adventure Bound for our white water rafting trip! It took like 4 hours to get there so we grilled, chilled, bonfired and watched movies on Wednesday to get in the proper mindset. On Thursday: we rode. And indeed we did on Thursday. In groups of 8 the chanichim filed onto boats led by staff members to shred the raddest waves your children ever saw. Magic Falls? Easy. Big Mama? Piece of cake. Actually this writer totally dislocated his shoulder on Big Mama but everyone else was fine and it was a little embarrassing. After eating a packed lunch, the chanichim rafted for a few more hours while I had to leave the boat and go back to camp. I watched the Dark Knight Rises and read a little bit while I iced my shoulder. The chanichim came back drenched and delighted!! 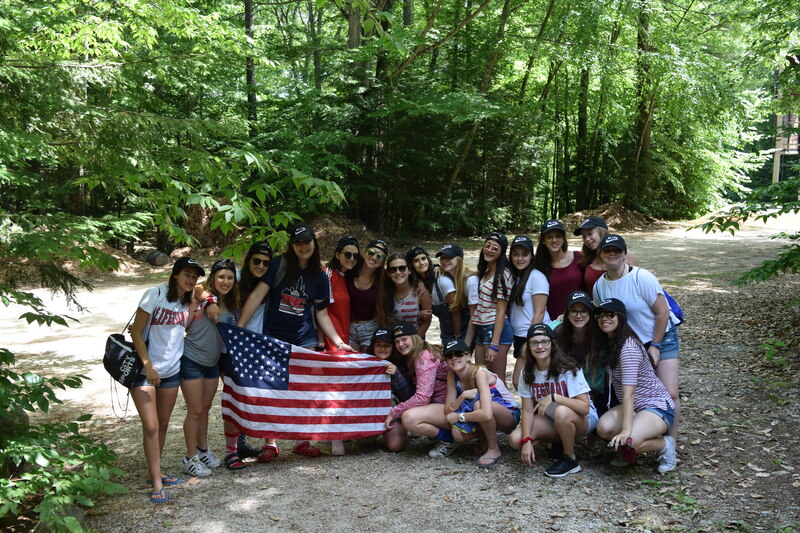 They said it was the best Achla Yom (literally awesome day, our differently scheduled/sometimes out of camp day) ever! I didn’t spoil the end of the Dark Knight Rises even though I felt like I had missed out. We piled onto the buses to come back to a restful evening and some fish and chips. Coming at ya soon enough with another update!